Anxiety can occur at almost any age, but it can be especially hard to deal with for kids and teens. There is a lot of pressure for kids to perform well in school today, and some don't know how to cope with everything. Find out how to teach your children healthy ways to handle their school-related stress. 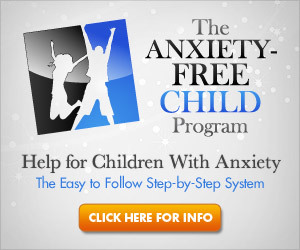 According to a recent article about mental health in kids, one in four children is suffering from an anxiety disorder. How can you talk to your kids about anxiety? And is there a way to spot it before it gets too serious? Find out here. One of the most difficult things about getting treatment for a mental health condition is that there is no "one-size-fits-all" solution. Different people respond to treatment in different ways, and what works wonders for one person may do absolutely nothing for another. Find out how a researcher is trying new methods to help treat PTSD. There are a lot of people who are uncomfortable with the idea of taking medication to relieve the symptoms of their mental health condition. Many of us have heard of the numerous unpleasant side effects that people experience when they take drugs that are supposed to help them. A new study shows that there may be surprising benefits for taking a popular group of medications.